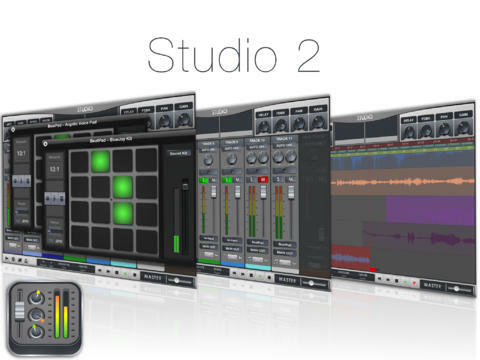 Studio 2, Workstation, DAW or sequencer for iPhone / iPod Touch / iPad from XME Inc..
XME Inc. launched the second version of its iPad software sequencer, which now supports up to 96 tracks. Studio 2 is available on the AppStore for 8.99€ / $9.99, BeatPad retails for 4.49€ / $4.99. Softube Tube Delay now as a Rack Extension The Softube Tube Delay plug-in is now available in every possible format, including as a Rack Extension for Reason. Conductr controls Live from your iPad Barcelona-based PatchWorks introduced on the AppStore a new app designed to control the Ableton Live DAW from iPad.